By Azwan Jamaluddin in Gadgets. Updated on November 19, 2017 . Virtual reality is slowly becoming more mainstream with technology such as the Oculus Rift getting the attention of fans and big name developers everywhere. These technologies allows us to immerse ourseleves in a virtual world. With all this advancement, it’s about time that we progressed from using controllers, right? Control VR is a piece of wearable technology that will work together with VR headsets, specifically the Oculus Rift, to allow manipulation of the virtual world using your hands. This immersive VR would allow you to walk around and interact with your surroundings. Let’s take a look at what it’s all about. 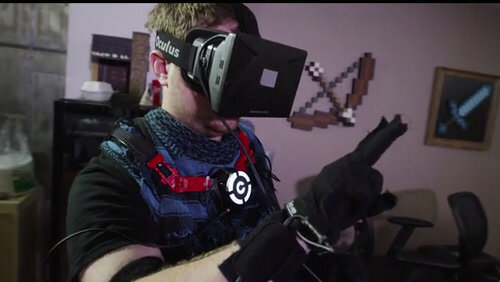 Control VR uses a pair of gloves fitted with sensors that will track every movement of the user’s fingers and translate them into useable control inputs for digital devices and software. The developers showcase their technology with a simulation where objects in the game world can be manipulated with the user’s fingers. Objects such as cups and golf balls in the virtual world can be handled using their hands. 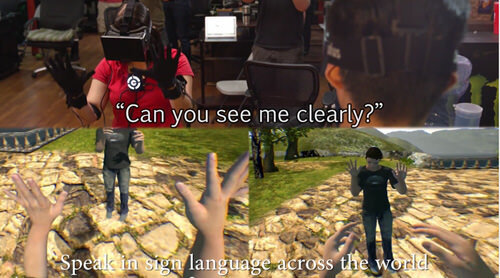 The usage of sign language as well could be applied inside the virtual world. And for all you superhero wannabes, they even showcased an Iron man game, where users have to use their hands for propulsion control, just like in the movies. In addition to all that, the creators are promising that their technology will soon be able to plug into current game and 3D engines such as Unreal, Unity and Autodesk, so that development will be a breeze. 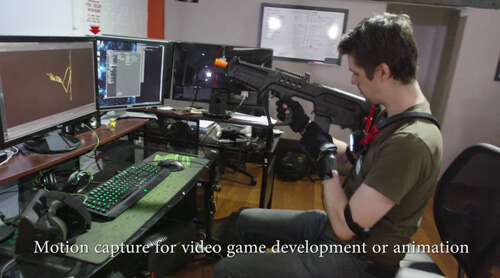 For indie game developers, this technology provides an affordable way to do motion capture. The gloves are sensitive enough that anyone can use it as a quick way to add motion capture to a game giving them the opportunity to add in life-like movements. Control VR is currently being funded on Kickstarter. If you’re interested in funding the project, there are several tiers to choose from, with all tiers getting you a Digital Thank You and SDK software, but only the $350 tier will get you a single Arm Control VR Dev kit, while the $600 tier gets you both arms. Physical hardware will be shipped worldwide by December 25th, just in time for Christmas.